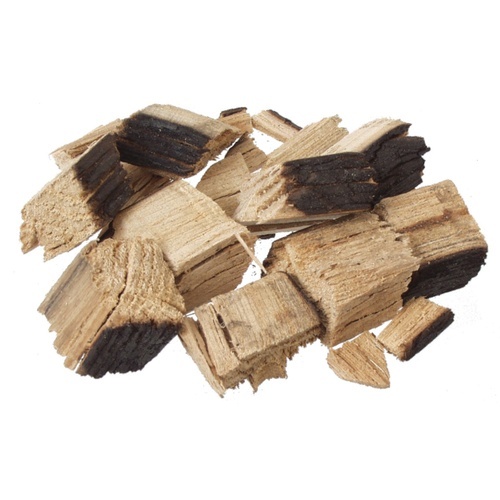 Authentic chunks of a bourbon barrel that will add flavor and depth to your favorite beer. Packaged in oxygen barrier bags to retain aroma. You will be amazed when you open the bag and take a huge whiff of goodness. Sourced from distilleries and then cut up and packaged in a usable size for homebrewers. Bourbon barrels are originally made from Americian oak that feature a unique, heavy char for bourbon/whiskey aging. We suggest you start by adding 2 oz per five gallons. Perfectly suited for Porters, Stouts, and anything else you can dream up.